There are 13 posts tagged the way of the world (this is page 2 of 2). Being someone who actually enjoys food, rather than treats it as a positional good, I’ve blogged about our perverse, commodified, relationship with grub before now. However I take it as some vindication that the new Harden’s guide says restaurants run by celebrity chefs offer some of the most overpriced and worst-cooked food in London. Heston Blumental and Marcus Wareing come in for a particular clobbering, and Gordon Ramsey doesn’t get off lightly either. This will be a rich subject for future historians – how a nation of food banks sits glued to the telly watching kitchen-based reality shows while its more affluent citizens fork out small fortunes to dine at what are effectively marketing stands for media personalities, where they can play make-believe in the reflected glory of an imaginary life. For now, however, it beggars belief. This country has no idea how to eat, which must mean it has only some scant idea of how to live. In truth, Britain’s relationship with food has been going downhill since the Inclosure Acts, and it has seen worse material inequality too, but what strikes me today is the utter intellectual poverty of the moneied. 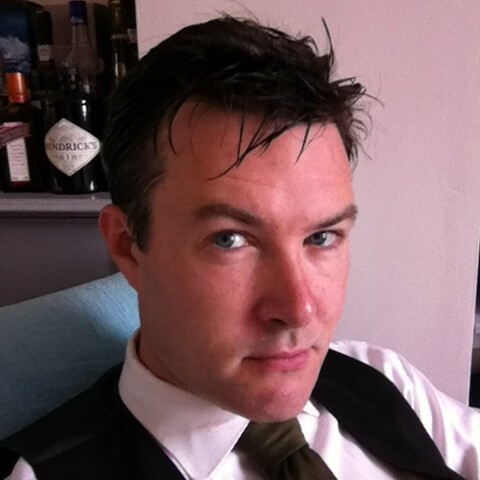 In previous generations and eras the people with cash were, however unintentionally, patrons of the arts. This should really be a fuller post, but historically the wealthy sponsored the Renaissance and the Baroque, or they spent their own (sometimes dwindling) inheritances to carve out their own careers as Romantics and Modernists. Their wealth and privilege afforded them some sort of confident aesthetic sensibility, which is essential for any kind of honest judgement. It is in fact the stuff of which culture is born. Now they’re as craven, mindless and programmed as the rest of us. There is something deeply pitiful about David and Samantha Cameron, Tony and Cherie Blair, Simon Cowell, Bradley Cooper, Lily Allen, David Beckham, Lindsay Lohan and Nigella Lawson (supposedly a chef herself) all booking and paying to show off their expensive dental work in a restaurant that has been slammed not just by Westminster Council – for countless environmental failures – but by the country’s pre-eminent restaruant guide for truly awful food. But the food never mattered. The paparazzis are waiting patiently outside, and that’s all that counts. There is a terrible vacuum evident here; food is one of the windows through which we can see it. The fig-leaf that is “economic growth” can only cover so much. I bought a new watch yesterday, which brought on something of a Marcel Proust experience. 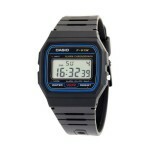 Desperate for a timepiece but reluctant to fork out any more than absolutely necessary, I ended up with a Casio F-91W. 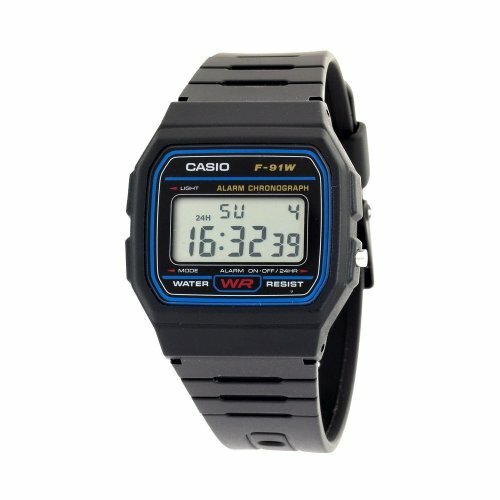 I thought at first this was exactly the same watch as the first watch I had ever bought: a black plastic Casio from a kiosk vendor in a Cardiff shopping centre almost thirty years ago, but the F-91W did not come out until 1991, so that must have been some predecessor. The shopping centre in question has been demolished now, central Cardiff has changed tremendously, and the old man in the kiosk must be dead, but Casio are still making a practically identical watch. So much has been and gone between these two watches. It is a funny thing, time; the application of a man-made mathematical system to the intuited linearity of human experience. I have set my F-91W to an hourly chime, the same chime I heard in primary school, in a village far away from me now. Vast gulfs and eddies of time, of life, hidden and swallowed and flowing, forgotten and remembered. Beep, says my watch, every hour. What oceans lie between those simple sounds, then and now. A digital watch from a pre-digital age. Memory hold the door. By all accounts it loses no more than six minutes a year, which makes it more accurate than just about every Rolex ever made. Even so, its vast popularity passed without recognition until the US military decided it was a bomb maker’s tool, and thus every Arab who wore one automatically became a terrorist suspect. This began after 9/11, although Islamists were reportedly using Casios for bomb timers by the mid-nineties. The ‘Bojinka’ plotters intended to use this cheap timepiece to bring down eleven US airliners in 1995 (first they intended to assassinate Pope John Paul II). Their plans were abandoned, and the plotters were caught, apparently because of a fire in their apartment, but not before three Casio test bombs were detonated in the Philippines, injuring dozens, and nearly bringing down a 747. The same hourly chime I now hear at my desk was heard briefly and fatally underneath the seat of a rising passenger jet out in the Pacific Ocean. A section of fuselage blew off, the air pressure dropped instantly, revealing a sun-dappled sea and one tiny Japanese island, and 24 year-old Haruki Ikegami, an industrial sewing-machine maker from Tokyo, died instantly. He was the first of the Casio deaths. It was also the first use of the “liquid bomb”. Airlines and airports knew about this type of device for eleven years before they introduced liquid restrictions in 2006, prompted by the uncovering of a non-existent “transatlantic airline plot” which occurred suspiciously close to the US mid-term elections. By this time, as Wikileaks later revealed, ownership of a F-91W was being used to justfify the continuing detention of 28 people at Guantanamo Bay. Although it escaped my notice at the time, the markedly unfashionable F-91W became fashionable afterwards, or at least that is what the media told us. Journalists complained it was because of some terrorist cachet. I doubt it, although perhaps there is something stridently revolutionary about wearing something so perfectly functional and blatantly non-aspirational in today’s crassly commercialist age. “It embodies that nice paradoxical conflict which adds an extra dimension of value,” Casio’s UK marketing director told the BBC, neatly and inevitably converting anti-market sentiment into a marketable demographic. Whatever he might think, however, the watch remains the same, and sells by the bucketload from Venezuela to Vladivostok. Mine cost nine quid. It’s got a little light too, and if you hold down the C button the LCD numbers say the word CASIO. It amazes me that people can spend two grand on a watch.